Group Training – through GTPAC courses, you will learn to navigate the government procurement process. To get started, attend the no-cost Introduction to Government Contracting class. One-on-One Counseling – work side-by-side with a procurement specialist and gain assistance in selling your product or service to the government. Our specialists are experts in: vendor registration, reading, and understanding a bid solicitation, finalizing your bid or proposal, understanding packaging standards, submitting an invoice, and more. Customized Monitoring – gain insight on new procurement opportunities for your business by creating a customized bid search. Small, mid-sized, and large Georgia-based businesses. Businesses that qualify for one of the following designations:, small, disadvantaged, HUBZone, woman owned, veteran owned, service-disabled veteran-owned, or 8(a) certified. Any business interested in learning how to do business with the government. 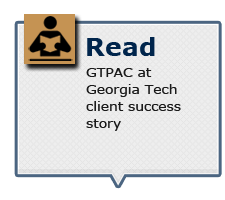 GTPAC services are provided at no cost to any Georgia business that is interested in and able to perform work as a prime contractor or subcontractor for federal-, state-, or local-government agencies. 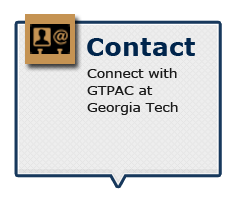 GTPAC counselors are located in eight offices across Georgia. GTPAC counselors are procurement specialists, with years of experience in both government and contractor roles. Advised more than 2,900 businesses, including more than 900 new clients. 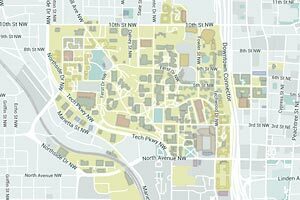 Helped clients win more than $559 million in government contracts. 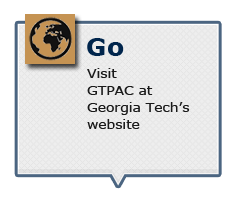 The Georgia Tech Procurement Assistance Center (GTPAC) is part of the Enterprise Innovation Institute (EI2) at Georgia Tech, which helps enterprises improve their competitiveness to significantly impact the economy. The GTPAC serves as a Procurement Technical Assistance Center (PTAC) and is funded in part through a cooperative agreement from the Department of Defense (DOD) through a program that is administered by the Defense Logistics Agency (DLA).